What adds to their appeal is that fact that because you can play SuperCasino on your mobile devices, so you can game when and wherever you like. All you need is a smart phone including an Android, iPhone or Tablet and you have 24/7 entertainment and possibly a few jackpot wins! At SuperCasino you’ll receive £10 credit, no deposit required simply for registering. 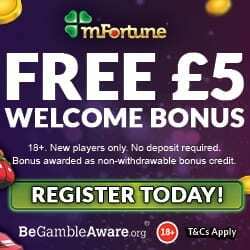 This credit is the perfect way to start gaming straight away and it gives you the chance to test drive the site, before you add any of your own credit. The bonuses continue with your 1st deposit, because you’ll receive a 100% cash match bonus up to £200. This means that if you take advantage of the maximum amount, you could receive a further £200 totalling £400. Even on your 2nd deposit you’ll be thanked for your loyalty with a 50% cash match bonus, so if you add £20 you’ll get an additional £10. The Weekly £500 Cash Giveaway – Yep that’s £500 up for grabs each week and it’s as easy as making 3 deposits of £10 or more, between Wednesday and the following Tuesday to be entered into their prize draw. 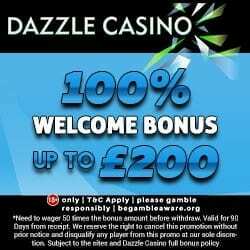 Twenties Tuesday – This is where all existing players get 20% cash match bonus on your deposit each Tuesday, worth up to £20. The Perfect Ten – The bonuses keep on coming, simply make a deposit of £20 or more each Thursday and you could earn an extra £10. 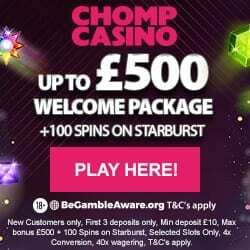 SuperCasino also have a VIP Club with generous rewards and benefits. The club is invitation only but once you join you could receive extra loyalty points to convert to cash, cashback, gifts and bonuses and access to the VIP management team. There are four tiers to the VIP Club which are bronze, silver, gold and platinum. 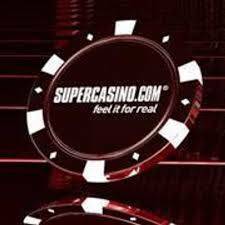 SuperCasino offer the usual banking methods including credit and debit card, Neteller, Skrill, Entropay, Paypal and Paysafe Card. If you’re ready to claim the £10 credit then simply visit SuperCasino to register and play today.